ThriftStyle authors Reise Moore and Margaret Engel were in heady company in New York City last Friday. Their book was chosen as the best Service/Self-Help book for 2018 by the venerable American Society of Journalists and Authors, now celebrating its 70th year. Only seven books – from biography to young adult nonfiction—were honored at the annual award ceremony, held in the ballroom of the New York Sheraton Hotel in Midtown. At the NYC awards ceremony: Margaret Engel, left, Reise Moore and good friend Lenora Chu, who won in the General Nonfiction category. Joanne Lipman, author of That’s What SHE Said: What Men Need to Know (and Women Need to Tell Them) About Working Together, emceed the event. She most recently was editor-in-chief of USA TODAY and is the former deputy managing editor of the Wall Street Journal, where she created its Weekend Journal and Personal Journal. The awards gave recognition to journalists and authors representing publications including The Atlantic, ForeignPolicy.com, Scientific American, Longreads and The New York Times and publishers HarperCollins, Beacon Press and our own Imagine Books, the adult imprint of Charlesbridge. The judges said ThriftStyle was extremely useful, original and lavishly illustrated. A Conscience in Media award was given posthumously to Daphne Caruana Galizia, 53, a journalist and writer in Malta who was murdered in October because of her anti-corruption activism. Her son accepted the award in an emotional address that thanked the world community of writers for recognizing her courage. The writing awards are given following an extensive judging process involving dozens of readers who are professional writers and editors. 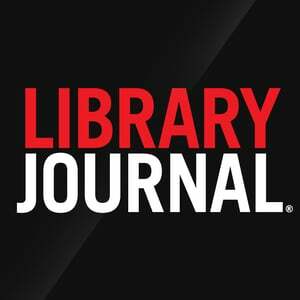 The American Society of Journalists and Authors is the nation’s professional organization of independent nonfiction writers. Biography/History: Through a Glass, Darkly: Sir Arthur Conan Doyle and the Quest to Solve the Greatest Mystery of All by Stefan Bechtel and Laurence Roy Stains. Published by St. Martin’s Press. Children/Young Adult Nonfiction: 50 Wacky Things Animals Do by Tricia Martineau Wagner. Published by Walter Foster Jr. Honorable Mention: The Encyclopedia of Whales, Dolphins and Porpoises by Erich Hoyt. Published by Firefly Press. General Nonfiction: Little Soldiers: An American Boy, A Chinese School and the Global Race to Achieve by Lenora Chu. Published by HarperCollins Books. Honorable Mention: The Book of Noticing: Collections and Connections on the Trail by Katherine Hauswirth. Published by Homebound Publications. 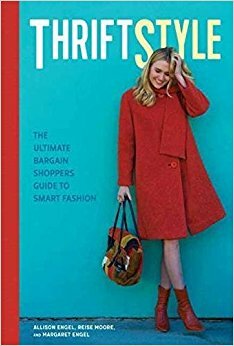 Service/self-help: Thriftstyle:The Ultimate Bargain Shopper’s Guide to Smart Fashion by Allison Engel, Reise Moore and Margaret Engel. Published by Imagine Books. Business/Technology/Science: “The Blood of the Crab” by Caren Chesler, writing in Popular Mechanics. Honorable Mention: “The Uncertain Future of Puffin for Dinner” by Cheryl Katz, published in Hakai Magazine. Excellence in Reporting: “Journey to Gunland” by Melinda Wenner Moyer, writing in Scientific American. Honorable Mention: “Protecting Negative Heritage in Rwanda” by JoAnn Greco, published in The Pennsylvania Gazette. First Person Experience Article or Essay: “Drinking Chai to Savannah: Reflections on Identity, Inclusion and Power in the South,” by Anjali Enjeti, writing in Longreads. Health and Fitness: “When drinkers suffer liver disease, should getting a transplant be so hard?” by Alexandra Fleming, published in The Washington Post. Honorable Mention: How Anti-Choice Lawmakers Are Getting Around Roe v. Wade” by Sarika Chawla, published in Vice Tonic. How-To Article: “College Advice I Wish I’d Taken” by Susan Shapiro, writing in The New York Times. Honorable Mention: “The Special Bond of Older Dogs and Older Owners: Money-saving ‘Seniors for Seniors’ pet adoption programs are gaining popularity” by Jen Reeder, published in PBS’s Next Avenue.org. June Roth Award for a Medical Article: “Deserted” by Melinda Wenner Moyer, published in Women’s Health. Lifestyle: “A Japanese Baseball Tour: The Healing Power of Baseball in Japan” by Todd Pitock, published in Travel & Leisure Magazine. Honorable Mention: “Quest for Gray Ghost: Tracking the Snow Leopard in Ladakh” by Jill Robinson, writing in The San Francisco Chronicle. Opinion/Op-Ed: “The Wealthy Are Poised for the End of the World,” by Lara Kristen Herndon, writing in CommonEdge.org. Profiles: “In Pursuit of Justice” by Julia M. Klein, writing in The Pennsylvania Gazette. Trade: “When the Target of Bias is the Doctor” by Robin Warshaw, writing in the Association of American Medical Colleges News.